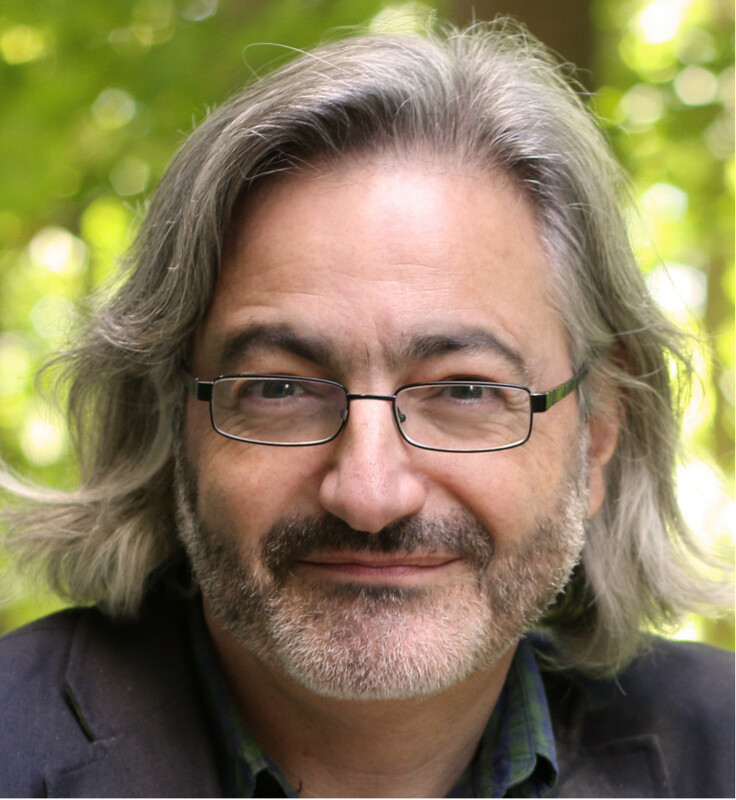 Gary Barwin is a writer, composer, multimedia artist and the author of twenty-one books of poetry, fiction and books for children. His recent books include Scotiabank Giller Prize and Governor General’s Award shortlisted Yiddish for Pirates and the poetry collection Moon Baboon Canoe. Barwin teaches creative writing in the Mohawk College Continuing Education program and will be the writer-in-residence at McMaster University and the Hamilton Public Library for 2017–2018. Born in Northern Ireland to South African parents of Ashkenazi descent, Barwin moved to Canada as a child. He lives in Hamilton, Ontario. 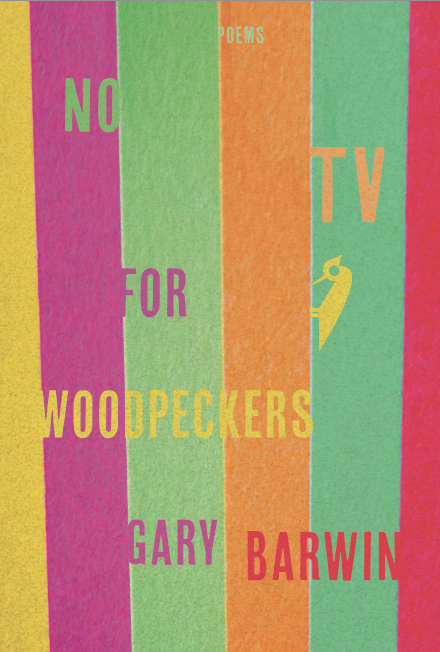 Barwin will be in Thunder Bay on October 30th, 2017 for the International Festival of Authors event at the Thunder Bay Art Gallery; he will be presenting his new book of poetry, No TV for Woodpeckers. Shauna Kosoris: What inspired your new poetry collection, No TV for Woodpeckers? Gary Barwin: I was hoping to be loved by everyone. And also to be carried through the streets as everyone cheers, though some also exclaim, “Mmm,” because my poems are so profound. But really, I believe that poetry is a powerful technology for exploration of both thought and feeling, of concepts and a sense of being-in-the-world. It’s a kind of tool for investigation. I was interested in considering our relationship to our environment and how we live in interconnected spaces. I have hiked in Hamilton for decades and recently began kayaking through the Cootes Paradise marsh at the end of my street. I was stunned to discover such a vast range of lifeforms there—there were some creatures that I didn’t recognize (the water vole? who knew? )—particularly in this famously post-industrial city. The second part of the book explores human experience and language more generally. These are strange times (they’re always strange times!) but I was interested in exploring the braid between language, poetry and contemporary experience—of family life, grief, media, culture, humour, wonder, confusion and consternation. You know, the usual. Of course. No TV for Woodpeckers is split into two parts: “Needleminer” and “Marlinspike Chanty.” What’s the significance of those titles? A marlinspike is a pointy tool used by sailors for separating rope. Hopefully these poems poke into knotty things and make the reader want to sing. Or call out. Or haul on a yardarm. Well now I can’t wait to see if anything like that happens when you’re reading here in Thunder Bay. In “Needleminer,” you reworked (or “repopulated”) pre-existing texts with various animals from the Hamilton area. How did you choose which texts to repopulate in this way? That is a good question. I thought about using texts about Hamilton or texts that expressed a particular thematic connection to issues of ecology, place or the environment, but in the end I decided to use texts that were formally rich, that were mini-textual environments in themselves. I repopulated the texts with species names (from plant-life, insects, animals) and then in the last part, I used anatomical terms used in the identification of human parts as well as other species to explore the further interconnection between human and non-human. The result was portmanteau words (or perhaps neologisms)—a hybrid language environment, just as we live in a hybrid environment, neither human-made nor natural, but a complex interconnected situation. The book is full of many different styles of poems. Do you have a favourite poetic form to write? In my country, we don’t write poetic forms, poetic forms write us. But it is kinda true: I try to be open to the possibilities suggested by the merest wisps at the beginning of writing a poem. I try to be aware of where it might take me, to be open to trusting the impulse that I perceive in the writing itself rather than lumbering in like a galoot stomping all over things with his big poetic clompers and missing a range of possibilities. So I don’t know that I have a favourite style, but I have a favourite process. That feeling when a poem begins to go madly off in all directions and my job is just to try to keep up. I think that’s one of the best feelings, whatever you’re writing. Thinking about other kinds of writing, you’re also a novelist, composer, and multimedia artist who has worked on a large range of different media (including visual poetry, children’s books, and music). What draws you to this wide range of medium? I love to explore how the different media bounce off each other. How they are just different dimensions of the other. And for me, one thing inspires another. It’s exciting to see how the parts of a medium can create a world, a kind of energy field. Truth. It’s my favourite medium. Sorry, I lied. I’m writing some kind of a Western, but set in Eastern Europe. Right now, a scene where my protagonist is getting a shave and a haircut when he has a revelation. He has to retrieve his testicles from a glacier where they were shot off years before. He wants to have a child and so now he needs them again. Interesting. I wish him luck in finding them. What book or author inspired you to write? As a small child, I remember listening to stories, but also to language itself. The sound of it. The patterns. The fact that it existed, that it was something between people and the world, that it could help you notice things, but that it was also a thing in itself. And different people used it differently. How could I not want to try it out, to explore it. Whatever makes their body and brain feel electric. I think it’s a good experience to, at least sometimes, read books that change how you think books work, change what you think is possible in a book and therefore in your thought and experience of the world. About twenty different books at once. I just finished, Pockets, a tiny perfect novel by Stuart Ross. Strange, surprising and moving. Also, Cop House, short stories by Sam Shelstad which is just out. And Whereas by Layli Long Soldier, an Indigenous American poet is remarkable.